Enjoying life in Costa Rica, insights by CR Beach Investment Real Estate, where all of our staff has lived here a minimum of 11 years. Look for a copy of the local monthly FREE NEWSpaper called The Swell Dealer, they have tons of info and a calender section for music, food specials, and special events happening in Jaco. 3. Walk on the beach, both north end and south end are the best. Check out low tides!!! 15. Go fishing from the Los Suenos Marina, full or half days. 22. Get your teeth cleaned from a great dentist in Jaco. 25. Take a yoga class, there are many. 31. Check out the weekend events at Jaco Walk, including happy hour specials, live music, and outdoor activities. 9 TIPS ON HOW TO TRAVEL WITH YOUR CHILDREN INTERNATIONALLY! Millions travel for the holidays to spend time with family and friends, many with children. Of those travelers who responded to a recent Travel Leaders Group Travel Trends survey, 61 percent say they will fly to their holiday vacation destination in the coming weeks and 38 percent will drive. When traveling with children, there are a variety of tips that will help smooth the journey, say expert travel advisors at Travel Leaders – one of North America's largest retail travel agency brands with thousands of travel agents across the United States, Canada and Mexico. 9 easy-to-follow tips that will help vacationers travel better this holiday season when children are along for the journey. Pack with a plan: Overhead space will be at a premium during the holiday travel season, especially as people bring gifts for friends and family or return home with presents they've received for their children. So, when preparing to pack your bags, it's crucial to check in advance whether your luggage meets the airline's size and weight restrictions for checked baggage and carry-ons, as well as to remember to save space for the extra items that will come home with you. The Transportation Security Administration (TSA) allows each passenger one quart-size bag of liquids and gels, including toothpaste, gel deodorant, and lotions. Each item must be 3.4 ounces or less, with medications and certain items for children being the exception. Infant formula, breast milk and juices for infants or toddlers, as well as ice packs to keep them cool, are permitted in higher, yet reasonable quantities through the security checkpoint. However, keep them separate from the items in your one-quart bag. Label medications and carry a copy of the prescription. It's a good idea to have color photocopies and digital copies of all important identification documents, including your passport, front and back of credit cards and health insurance information for you and the children. If you're traveling internationally, consider bringing a copy of your child's immunizations. Also have extra ID photos cropped to passport size in case you have to order a replacement at the U.S. Embassy or Consulate. Also pack all paper copies or flash drives in a separate location for extra safe-keeping. When traveling having expedited clearance such as TSA PreCheck or Global Entry usually means you can skip the long lines at security checkpoints and not have to remove outer layers of clothing. Although Children ages 12 and under never have to remove their shoes or lightweight jackets, they also do not need their own TSA Precheck boarding pass since they can go through the TSA Precheck checkpoint with any qualifying adult with whom they are traveling. If traveling internationally, children under 18 do need to apply for their own Global Entry or Nexus status with a consenting parent or legal guardian. Dress young children in comfortable clothing, even consider footie pajamas and no shoes. If your child is young enough, give your child a ride to the checkpoint and gate in a stroller. Though they will have to walk through or be carried through security, the stroller ride there helps to keep them in tow, and your stress low. You'll also save money as you can check the stroller or car seat at the gate, often bypassing the fees you'd pay at the ticket counter. Winter, especially the days surrounding Christmas week, is a busy time to visit any park. Bear in mind that lines are shorter first thing in the morning or late at night. A cruise is a great way to vacation with family and friends without the stress of holiday meal prep, clean up and entertaining. To feel relaxed without overexerting yourself, skip an excursion at a port or two. If you take time to enjoy the ship while fewer people are onboard, you will avoid some of the hustle and bustle. When you do take a shore excursion, consider opting for the children to stay with the childcare service for one of your experiences. But don't leave the children out of all excursions. They will also enjoy the adventure and culture of other lands and the bonding time with Mom or Dad. Escaping the cold weather by traveling with the family to someplace warm and tropical can be a relaxing way to spend the holidays, especially when it is spent at a family-friendly, all-inclusive resort. Whether you land, the convenience and value that comes without always pulling out your wallet can make winter travel less stressful. There are many excellent choices and a travel advisor can help you select the one that best suits your family, such as ones that offer features ranging from kids' clubs, water parks and family-themed entertainment to spas for the adults. Long road trips with children allow for many options, as well as the ubiquitous "Are we there yet?" refrain. Pack a kiddie bag that can stay within arms reach of young children who may want to grab their favorite book, electronic device, sippy cup or snack pack. Remember to also pack wet wipes and paper towels for easy clean up. Play music over the car radio that the child can enjoy as a family sing-along in addition to an option of personal music time with their own headphones or video player. Children also love the attention if a parent climbs into the back seat with them occasionally, if space allows. I Spy and tic tac toe are classic games children will enjoy. Finally, be sure to build in time to take breaks to enjoy scenic overlooks or small towns or other attractions you may pass along the way. So there you are: vacationing in Costa Rica -- ONE of, if not THE most bio-diverse location on Earth and home to panoramic beaches, rainforests and waterfalls, not to mention a seemingly endless variety of flora and fauna and you're looking for things to do in Costa Rica that are FREE? Sure thing! Excluding the obvious free activities like hiking, walking on the beach and sunbathing, there ARE free things to do in Costa Rica. It depends on where you go and at what time of the year and above all HOW you want to spend your time. Having established that, here are some free things to do in Costa Rica. - Palmares Civic Fiestas - Lots of culture here: folk dances, music, amusements and bullfighting. - Alajuelita Fiestas - Honoring the Black Christ of Esquipulas, Alajuelita's Patron Saint..
- Santa Cruz Fiestas - dancing, marimbas and bullfighting. - Fiesta of the Diablitos - annual recreation of the fight between Indians and the Spanish. - Puntarenas Carnival - Masks, music and plenty of sangria. - Escazu - Dia de los Boyeros (Oxcart Driver's Day) - parade of oxcarts and the blessing of the animals and crops by local priests. Not to be missed - especially if you're a farmer. - National Orchid Show - more flowers than you can shake a stick at. - Holy Week - processions galore in all parts of country. - Juan Santamaría Day - Commemorating Costa Rica's national hero -- a simple barefoot soldier who gave his life in the battle against William Walker's troops in 1856. - Puerto Limon - picnics, music and dancing. What more is there to life? - Corpus Christi Day - May 29 - Religious celebration. - Saints Peter & Paul Day - June 29 - More religion! - Puntarenas - Virgin of The Sea - fishing boat regatta which honors Puntarenas' Patron Saint, La Virgen del Monte Carmelo. Plenty of parades, dances and fireworks. - Guanacaste Day - you guessed it: folk dances, bullfights, and music. pilgrimage and religious processions to the Basilica in Cartago. Costa Rica's Independence Day is September 15th: witness the Freedom Torch as it is brought from Nicaragua by student relay runners the day before. Thrill to local "lantern parades" where kids carry home-made "faroles". - Puerto Limon - Limon Carnival - Columbus Day is celebrated in style in the port city with week-long street dances, parades and music. - Upala Corn Festival, Corn Queen contest. - Tres Rios Virgen del Pilar's Day - celebrating yet another Patron Saint with parades and costumes made entirely of corn husks, grain, and silks. - All Souls day - Nov 2 - Day of the Dead. - International Arts Festival, plays, street theatre and other entertainment. - Fiesta de los Negritos - very big event held in the Indian village of Boruca, and ancient Indian ritual is combined with honoring the Virgin of the Immaculate Conception. - Nicoya Fiesta de la Yeguita - Processions, bullfights, fireworks, concerts. - Tope - Annual horse parade. Careful where you step! - Carnival - Head to downtown San Jose for the biggest block party of the year! same building, and its exhibit includes information on coins, as well as interesting samples. And it's FREE. - The Museo de Jade, or the Jade Museum.o Lcated in the INS building in downtown (in the National Insurance building. The exhibit in this museum is the largest American jade collection in the world. The collection is extremely valuable because of the rarity of the mineral and of the religious and historical significance that it has for the Indian population and for the Costa Ricans in general. Like the golden pieces, the jade artifacts also depict animal shapes. - The Museo de Ciencias Naturales La Salle (Natural science) and the small Entomology Museum in the University of Costa Rica. The first museum is located in La Sabana and presents a taxidermy collection of various animals and a preserved fish and reptile exhibit. The small university museum houses a large collection of insects of Central and South America, including beautiful butterflies. in addition to produce, fruits and meat, there are booths selling everyday items. Next to the Monteverde Reserve entrance. Feeders outside attract dozens of hummingbirds representing about 7 species. Traditional Costa Rican artisans in Guaitíl hand throw Chorotega pottery while you watch, and the wood carvers of Sarchí transform rainforest hardwoods into every imaginable shape. Drums, baskets, textiles, and pre-Columbian reproductions are just a few of the things you'll want to take home with you. eyes to see fascinating bird life in Costa Rica. Buy an Hermosa Beach Bungalow, and see hundreds of birds from your patio. The number of spectacular waterfalls in Costa Rica reflects rainfall averages of over 20 feet a year and the sheer drops of some of the mountain ranges. Some are visible from paved roads as you travel from place to place, but others require significant effort to reach. The surest way to find a falls with a deserted swimming hole at the bottom is to start walking upstream. many more free things to do and see once you set foot in beautiful Costa Rica. Follow your instincts and not your pocket book and you'll come up with your own list of free activities in Costa Rica! Anglican Episcopal Church: Ca. 3/5, Av. 4, north side of Colegio de Señoritas, 2222-1560,ibuenpastor@gmail.com. B’nei Israel: La Sabana, 800 m west of Pops, 2231-5243, congbnei@racsa.co.cr. Baha’i Faith Firesides: La Uruca, 2249-1231. Beach Community Church: Sun., 10 a.m., Brasilito, Guanacaste, next to Country Day School, 2653-4437,info@beachcommunitychurch.com. Chabad Lubavitch: Rohrmoser, in front of Antojitos; Escazú, 50 m west of Banco General, 2296-6565,hspalter@jabadcr.com. Christian Center: San Roque, Grecia, 2494-0970, laterrazagrecia@msn.com. Church of Christ: Quircot, Cartago, 8839-4331. Church of Jesus Christ of Latter-Day Saints: Curridabat, Edificio Trébol, 500 m south of Pops, 2224-9401,2015218@ldschurch.org. Costa Rican Lutheran Church: Barrio El Carmen, San José, 600 m southeast of San Cayetano Church, 2227-8080, comunicacion@ilco.cr. Episcopal Diocese of Costa Rica: Zapote, 75 m north of Plaza Cemaco, 2225-0209,anglicancr@racsa.co.cr. Escazú Christian Fellowship: Interdenominational, Sun., 5 p.m., International Baptist Church, Guachipelín, Escazú, 8395-9653, www.ecfcr.net. Foursquare Church: Monthly English-language worship service, Sunday school, Manuel Antonio, 8338-4655, 8702-0807, 8390-0591. Guadalupe Missionary Baptist Temple: Guadalupe, 300 m east of cemetery, 2222-4757,kerawa@racsa.co.cr. Hare Krishna Center Gaudiya Math: Cuesta de Núñez, #1331, Av. 1, Ca. 15/17, 2256-8650,haribol@racsa.co.cr. Harvest Vineyard Church: Sabana Oeste, Lexicon Library, 200 m north, 100 m east, 75 m north of UCIMED, 2291-4383, info@harvestvineyard.info. International Baptist Church: Guachipelín, Escazú, west of Multiplaza, north side of highway, 2215-2117,paul_dina@hotmail.com. Jehovah’s Witnesses: La Asunción, Belén, across from Avis, 8982-3381. Mass for hearing-impaired: With translation in Costa Rican sign language, Sat., 6 p.m., Immaculate Conception Church, Heredia. Muslim Center: Guadalupe, Calle Blancos-Montelimar, 100 m east, 80 m south of Escuela Santa Mónica, 2240-4872, omarhemeda@hotmail.com. Nondenominational Christian Church: Sun., 8:30 a.m., El Empalme, San Ramón, Pastor James Rush, 8385-6403, trandall360@gmail.com. Quaker Meeting: Sun., 11 a.m., Friends Peace Center, San José, Ca. 15, Av. 6/8; Monteverde School, Monteverde, 2222-1400, friends@racsa.co.cr. Roman Catholic Mass: Sat., 4 p.m., cathedral, San José, Ca. Ctrl./1, Av. 2/4, 2221-3820. San Pedro Christian Fellowship: San Pedro, Centro Comercial Calle Real, 2267-6038,sleves@racsa.co.cr. Science of Mind Study Group and Potluck: Escazú, 8378-6679, www.scienceofmindincostarica.com. St. Mary’s Roman Catholic Chapel: Mass, Sun., 4 p.m., Hotel Ramada Plaza Herradura, Cariari, 2209-9800. Union Church: San Rafael, Moravia, 100 m east, 400 m north, 100 m west of Lincoln School, 2235-6709,www.iglesiaunion.net. Zen Buddhism: Casa Zen, Santo Domingo, Heredia, 2244-3532, www.casazen.org. Acting: Carpe Diem Theater, Alajuela, 8810-3892; Fundación Skené, Barrio González Lahman, basic acting, 2258-7236, 2256-6978, www.fundaskene.org; Giratablas Theater, Los Yoses, theater for kids, teens and adults, 2253-6001. Agility: For dogs and owners, weekends, Pets’ Paradise, La Guácima, Alajuela, 8381-8285, 8393-4904. Agro-ecotourism: Also tropical ecology, Costa Rican natural history, organoponics, labyrinths and mazes, Barrio Francisco Peralta, 8819-3173, grupoloscongos@gmail.com. Art: Casa del Artista, Guadalupe, all ages, 2234-1233, 2281-0693, escuelacasadelartista@ice.co.cr; Fundación Skené, Barrio González Lahman, 2258-7236, 2256-6978, www.fundaskene.org; Galería Valanti, Barrio Escalante, painting, drawing, art appreciation, 2253-1659, www.galeriavalanti.com. Arts: Art, literature, music and theater courses, talks and workshops at CCCN, Barrio Dent and La Sabana, by the Institute for Study of the Arts (INESA), 2290-5113, www.inesacr.org. Baby Massage: For parents with babies older than 2 months, Mon.-Tues., Desarrollando Mentes, Escazú, 2289-4586, www.desarrollandomentes.com. Badminton: Academia de Bádminton Costa Rica, San Pedro, classes for all ages, group play for experienced players, 8897-5313, 8990-9295, sharon@badmintoncr.com, www.badmintoncr.com. Belly Dancing: Led by Jerusa Alvarado, basics, 8876-6184, jerusaalvarado@gmail.com. Biocourses: Trips with the Organization for Tropical Studies, 2524-0607, www.ots.ac.cr/biocursos. Classes: Art, tai chi, qigong, opera, food, Florencia Culture Center, Plaza Florencia, 200 m north of BAC San José, road to Guachipelín, Escazú, 2289-3557, www.culturaflorenciacr.com. Classes at Terapiarte: Portuguese, English, drawing, painting, cartoon, graphic design, clay modeling, yoga, belly dancing, popular dance, guitar, violin, Alajuela, 50 m north of Palí, Cristo Rey, 2441-0290, 8970-5026. Cooking: Boc Art Gourmet Shop and Cooking School, Escazú, Plaza Itskatzú, 2228-0804, and Guadalupe, 300 m south of La Católica Hospital, 2225-1013; Brunetti, Santo Domingo de Heredia, 2268-9423; Culinary Trainer School, San José, Av. 4, across from Sala Garbo, 2222-0361, www.ctscostarica.com; Estudio Gastronómico Mucho Gusto, Los Yoses, 2234-0840, www.revistamuchogusto.com; Radha’s Kitchen, Escazú, gourmet vegetarian and vegan cooking, 2288-3294, www.radhaskitchen.org. Dance: 29/4, ballet, jazz, tap, flamenco, hip-hop, break dancing, cardio dance, yoga, Sabanilla, Montes de Oca, veintinueve.cuatro@gmail.com; Academia Danza O, Middle Eastern, yoga, ballet, tap for girls, La Uruca, 2296-2022; Al Andalus, flamenco, tango, Sabanilla, 2225-2793, 8342-4083; Baila SAP, traditional, hip-hop, jazz, rumba, tango, yoga, theater, aerobics, Guadalupe, Moravia, Desamparados, Rohrmoser, San Ramón, Grecia, Palmares, Liberia, 2224-0834, 2224-6364; Dance Force Center, ballet, flamenco, tango, jazz, ballroom, Pavas, 2290-2271; Danza Abend, Calle Blancos, 2236-0700; Escuela de Ballet Piruetas Dance Studio, ballet, Jewish dance, flamenco, contemporary, all ages, Heredia, 2260-1549; Estudio Danza Libre, ballet, contemporary, jazz, Latin, hip-hop, fitness, all levels and ages, Guadalupe, 2253-8770, 8994-1124; Signos Teatro Danza, aerial dance, contemporary ballet, dance theater, yoga, break dancing, hip-hop, Lourdes de Montes de Oca, 2234-5584, 8714-5128, signosteatrodanza@gmail.com; Taller Nacional de Danza, ballet, belly dancing, flamenco, contemporary, jazz, tango, Indian, Afro-Caribbean, break dancing, hip-hop, all ages, Barrio Escalante, 2223-3319, 8776-1244, infoaatnd@gmail.com; Zíngari, flamenco, Santa Ana, 2282-1127, 8833-4260, www.flamencozingari.com. Feng Shui: With Iside Sarmiento, Moravia, 8851-8899, www.vivafengshui.com. Gardening: Centro Nacional de Jardinería Corazón Verde, Pinares de Curridabat, 2271-0303, 2271-1919,www.corazonverdecr.com. Holistic Classes: Creciendo en Grande Institute, Zapote, 600 m west, 200 m north of Casa Presidencial, 2283-3736, www.creciendoengrande.com; Kasasana, Barrio Escalante, 2253-8322,www.kasasana.com. Karate: Kids, daily, 5-6 p.m.; adults, Mon., Wed., Fri., 6:30-8 p.m., and Tues., Thurs., 7-8:30 p.m., Heredia, opposite Mercedes Norte cemetery, 8816-8387. Mandarin Chinese: Liu-Yi Centro de Idioma Chino-Mandarín, Heredia, San Joaquín de Flores, San José, 8878-9875, www.liuyicr.com. Martial Arts: Pavas, Rohrmoser, Parque La Amistad, 8873-3859, 8873-4265, 2232-9801, www.bushido-jo.com. Meditation: Inner Balance, Escazú, Mediplaza, 500 m south of Multiplaza, 2201-7201, ext. 2,natalie@innerbalance.co.cr. Music: Café Liberia, Guanacaste, singing, piano, electric and acoustic guitar, 2665-1660, 8339-0492; Centro Artístico Omar Arroyo, Moravia, 2297-2559; Editus Arts Academy, Barrio Escalante, 2253-5135, 2234-0491,www.edituscr.com; Escazú Music Academy, 2228-9327, www.escazumusic.com; Estudio Arte Heredia, singing, guitar, clarinet, sax, flute, piano, music theory, Barrio María Auxiliadora, Heredia, 2263-4184, 8704-9775; School of Rock, Sabana Sur, info@clandestina.cr, 8840-7204. Paragliding: Escuela Parapente Costa Rica, 8849-0777, www.parapentecr.com. Photography: Escazú, basic to intermediate, www.melwells.com. Pilates: Classes at your home given by certified instructor Michael Miller, all levels, contact Hernán Sain, 8861-9336, hersain@gmail.com, www.casapilates.com. Qigong and Tai Chi: San Pedro, Sabanilla, 2234-2680, 8715-0573, chiralu@gmail.com. Robotics: Ages 6-12, Abacus Institute, Edificio Colón, Paseo Colón, 2222-1446,www.abacusinstitute.net/robotica; Laboratorio de Robótica, Escazú and Pinares de Curridabat, 8880-2424,pattyct@racsa.co.cr. Satsangs: Sat Yoga Institute, Escazú, 2288-3294. Synchronized Swimming: Girls, Mon.-Fri., 4-6 p.m., La Salle School, Sabana Sur, 2291-0147, 8373-4005. Tai Chi: Bambú Dorado, Escazú, San Pedro, adults and seniors, 2225-4411, 8829-0237,www.muevete.co.cr; Heredia, adults and seniors, International Taoist Tai Chi Society methods, 2263-5075,costarica@taoist.org. Wine Seminars: Bodega05, HA&COM Bebidas del Mundo, Llorente de Tibás, 2297-1005. Yoga: Bamboo YogaPlay, Dominical, 2787-0229, www.bambooyogaplay.com; Café Liberia, Liberia, Guanacaste, Mon. and Thurs., 7 p.m., Sat., 6 p.m., 2665-1660; Desarrollando Mentes, Escazú, for kids ages 3-5, Tues.-Wed., 3:30-5:30 p.m., 2289-4586, info@desarrollandomentes.com; Fit Yogis, Escazú, yoga for kids, 2228-9141, www.fityogis.net; Gayatree Yoga Center, Sabanilla, yin and Nidra yoga, 8848-2347,sofiyoga@yahoo.com; Jardín de Yoga Kapoli, San Rafael, Escazú, 2228-1350, 8325-2397; Rincón Natura Spa, Sabana Sur, 2291-4505; Sat Yoga Institute, San Rafael, Escazú, 2288-3294,www.satyogainstitute.org; Turya Yoga Studio, Escazú, 2289-7524, 8887-8835, janine@turya.info. When shopping for a new home for your overseas retirement, the most important thing is to follow your instincts. Choose a new home for your new retirement life in another country because you like it and it feels right to you. Here is a check-off list to consider when thinking through your overseas home purchase. When shopping for a new home for your retirement overseas, the most important thing is to follow your instincts. Allow yourself to be led by your heart and your gut. Choose a new home for your new retirement life in another country because you like it and it feels right to you. You aren’t buying a retirement home to make money. Perhaps the property you buy ultimately will be worth more than you’re paying for it and turn out to have been a smart investment, but don’t allow that agenda to get in your way. Of course, there are also many practical considerations when making any real estate purchase. Here is a list of some quantifiable things to consider when thinking through the purchase of a new home in another country. The answers to these questions will help you to pin down the lifestyle you imagine for yourself in retirement. You can then work backward from that lifestyle to the house that would best support it. 1. How much space will you need? Do you want an apartment or a house? One bedroom or two? (You probably won’t need more than two.) Two levels or only one? A guest room or even a guest house? Will you have guests often, for example? Will you want them to be able to stay with you, or would you prefer if they came and went from a hotel nearby? 2. Do you want a front yard, a back garden, or a swimming pool? All of these things require care and maintenance. 3. Do you want to be in the heart of downtown or out in the country? 4. Do you want a turn-key, a renovation project, or something in-between? 5. Do you like the idea of living in a gated community, or would you prefer a more integrated setting, such as a neighborhood where you could become part of the local community? This is a key consideration. Going local means you have to learn the local language (if you don’t speak it already). Or perhaps you’d prefer to be off on your own with undeveloped acres between you and your nearest neighbor. In this type of rural setting you will need to build your own in-case-of-emergency infrastructure. 6. Consider traffic patterns and transportation. Where you base yourself determines whether you’ll need to invest in a car, which is an important budget consideration. 7. Consider the convenience factor. How far is it to shopping, restaurants, nightlife, parking, and the nearest medical facility? 8. Do you want a furnished home? You may have no choice but to buy unfurnished (unless you buy, say, from another expat who’s interested in selling his place including all contents). Buying unfurnished means you’ll need to purchase furniture locally or ship your household goods from home. 9. What’s your budget? This is the most practical guideline of all, of course. Be clear on your finances before you start shopping, and, if your budget is strict, don’t be tempted to consider properties outside your price point. You’ll only be disappointing yourself unnecessarily. 10. Finally, ask yourself what kind of view you’d like from your bedroom window each morning. This can be an effective way to focus on something important that might otherwise be overlooked until it’s too late. The Clínica Bíblica now accepts medical coverage through Tri Care Latin America and CHAMPUS for hospital and pharmacy services. 65 years or over and have Medicare Part B.
Unmarried widows must have the related documents above for their husband. Medical benefits for U.S. veterans: The disabled veteran can only be treated for the disabilities listed on the Treatment Authorization Sheet from the VA. If the veteran is 100 percent disabled, all dependents will receive total health care, not including dental and glasses. Current ID card for all dependents under the age of 21 and up to 23 years of age if in college with proof of enrollment. Unmarried widows must have the related documents above for their husband. WE RECOMMEND THE ONLINE CHAT THREAT: COSTA RICA LIVING. I love this group because they have 5000 members that either have lived or currently live in Costa Rica or are thinking about it. Want to research every possible question you may have? This is the source! Often times their archive list will have the exact current information you seek! If after researching the archives of Costa Rica Living, you still don't have the answer to your questions, please call us! Each of our Jaco sales executives have lived here for many years, and can answer almost anything. if you want to learn about Medical Tourism, click here! "It's got the good weather of Florida, but a much cheaper cost of living. And it's a lot more adventurous than Daytona. Politically stable, Costa Rica has a thriving industry of recruiting American retirees. Thousands of Americans are spread throughout Mexico, Panama and the rest of the region." As residents of Costa Rica for 10 years, we are often asked the reason why we moved here in the first place .. so here's our Top 10 list for those of you contemplating your own adventure, living, working and or retiring in paradise. 10), Climate, Climate, Climate.. You can almost pick your preferred temperature in Costa Rica and we selected 72 degrees year round at our home in the Central ValleyMountains. But what about the Rainy/Green Season? Sure, we have about 2 hours of rain during our "winter" months each day, but most mornings are beautiful and sunny. That sure beats Fargo in Winter and Phoenix in Summer! We also happen to delight in that expected afternoon rain in green season for a few hours. In fact if you haven't experienced the sound of rain falling on a tin roof, with a good book, frankly, you haven't lived. Jeff: Here in Jaco Beach we experience daily averages of about 78 degrees with only a few days yearly over 90. What I love about this area is that I am able to go with short sleeve shirt, sandles and shorts, ALL year-round. And at home, day and night, I keep all the windows open. At night it cools down to 65. The rains keep Jaco green year-round and begin in May generally with about 2 hours of sporadic rain until October. That's the rainiest time of year in this area and when most Ex-pats like to go visit the States. October 2009 had the least amount of rain in years, but things are still green! 9) Nature Lover's Paradise: From rain forest to crisp mountains to experiencing the "Gifts from the Sea', Costa Rica is a Nature Lover's Paradise. Each morning Barry and I hike out our front door to the countryside where following a cow on the road is as common and much more delightful than interstate traffic. Jeff: I love living at the beach, where I can leave my house unlocked, walk-out barefoot to the sand, and enjoy the peacefulness that Playa Hermosa offers. Obviously Costa Rica is a nature lovers paradise and you will discover the joys of the beach, the forest, the mountains, and rivers all in a single day if you so choose. The quality of surfing and fishing is of course world renowned. The most popular national park, Manuel Antonio is only one hour away, and our favorite volcano, Arenal, is only 3.5 hours. Want to be in a tropical forest? Go 10 minutes north of Jaco for Carara national park. White sandy beach? Check out Punta Leona! 's with state of the ArtHospitals and Medical Facilities. It also has a thriving medical tourism industry. When we first moved to Costa Rica, private insurance cost $1400 annually for the two of us covering most of our medical costs and prescriptions. What this meant was state of the art care when hospitalized. Third World? I don't know about that. In my private hospital room, I had a flat screen t.v. dining menu options and a companion bed for my husband to stay with me. While our insurance has increased slightly as we have aged, I believe the care in Costa Rica unbeatable. Jeff: When we hear all the horrors of the U.S.-Canadian medical system we smile, especially regarding the costs! Of course one must have the private insurance to insure care with respect! Overall Costa Rica is a medical-dental destination for U.S.-Canadian residents due to the highly professional services offered here from 50% to 75% off the costs of similar treatments at home! Some Costa Rican hospitals are now working with U.S. medical plans-ask your provider! Another great advantage here is being able to go to a pharmacist without a prescription, and 90% of the time receiving what you need. And you can even buy just a couple of pills, not the entire box!!! As a 58 year young man, I pay $1650 annual for my international medical policy and recently my friend, his wife, and child were quoted $3100! 7) Adventure: We probably saw too many Raiders of the Lost Ark movies, but we wanted the next chapter in our life after the rat race to be a "True Learning Adventure!" Flying through the Forest Canopy, White Water Rafting are just two examples and we have a long list of adventures still on the list. Every day, daily living in Costa Rica is an adventure from exploring exotic fruits to rescuing a sloth. I have to say it beats going to Wal-Mart. 6) Social Community: We could keep ourselves entertained 7 days and nights a week with Costa Rica's busy and diverse ex pat community. There's a club for every interest (Birding, Hiking, Bridge, Gourmet Food and Wine, Volunteer Opportunities) just name it and it's here. Foreign residents find each other at social centers and hubs and groups like the Newcomers Organization that help with the transition of moving to a foreign country. Jeff: Jaco has a great community of Expats from the States and Canada and there is no reason to be bored with all the groups and events going on. Don't believe me, just check www.cenpac.net or the Costa Rica Living group, or the Tico Times groups announcements. 5) Safety: While we now look back to the good old days when there was virtually little crime when we came to Costa Rica. Sadly we are not immune to the increasing crime rates that you find almost everywhere in the world, much linked to the growing drug problem. Still crime tends to be more property related than violent and so we have added precautions like a home security system. What should be noted is there is more violent crime in most major U.S. Cities in one day, yet the media will spotlight any violent crime against U.S Citizens that occurs outside of her borders. Costa Rica, it should be noted, is also a peace-loving and stable country with no Army, often referred to as the Switzerland of the Americas. Jeff: The world has gotten to be a more violent place, but I still feel safer here than I did in California. You just gotta be smart, and know that robberies occur more often here against Gringos because they know-believe that we will immediately replace all the stolen goods (whether we can afford them or not!) Years ago guns were never used, now unfortunately they are a little more common. HOWEVER, I feel extremely fortunate that in my 16 years of living here, I have never been robbed nor burglarized! (yes I am knocking on wood!). Jaco has increased dramatically the presence of police so now in their new cars and trucks you will see the Municipal force, the Transit police, Tourist police and the OIJ,(FBI wannabees). It ain't perfect but its getting better all the time! 4) Cost of Living: Indeed there are financial benefits of being a U.S. citizen living in Costa Rica. One of the attractions for us in selecting and moving to Costa Rica was the (tax-free foreign earned income benefit --currently $82,400 for each person) Another? property taxes on our new contemporary home in Escazu, Costa Rica were a whopping $100.00 a year. That sure beat $6,000 a year property taxes in New Jersey and Pennsylvania. We indeed would pay more for better infrastructure and suppport to the people of our host country. There was also no heating or air-conditioning expenses to contend with and the real kicker indulgence for me was massages were $10.00 an hour. I remember saying "I'm so there" There is no doubt, that we could not afford our current lifestyle in the United States and while Costa Rica is unfortunately being increasingly discovered and developed, there are still affordable options for creating a quality lifestyle at a fraction of U.S. prices. Jeff: Yes Costa Rica is the most expensive place to live in Central America. Yes gas costs almost double here compared to the States. However-how much do you pay for a maid or an electrician or plumber or mechanic or secretary? Maids average $3.00 an hour part-time or $250 MONTHLY for a live-in. An electrician, plumber, or car mechanic will generally charge $10-$18 an hour for small jobs, and a bilingual secretary in Jaco will cost between $600 to $1000 monthly. Food costs: "As a foodie" I have always been aware of what we have and don't have here in Costa Rica. A huge difference of imported goods has occurred over the past 16 years, to satisfy the most discriminating palate: from organic granola and soy milk to imported "hot links" or New Zealand rack of lamb or Alaskan King Crab. Fruits and vegetables are of course "dirt" cheap with great fresh picked flavors; the basics of rice, beans, breads, milk, chicken, eggs are similar to the States, and yes we do pay more for imported goods. Fish is widely available at almost half the U.S. price, although lobster and shrimp are not. Quality beef is not readily available, except to the discriminating shopper. The newly passed free trade agreement with the U.S. should reduce all imported food costs-soon! The really big savings is in the unbelievably low property taxes for your home, and the fact that there still are no capital gains taxes in Costa Rica!!! 3) Warm and Hospitable Costa Rican People. Pura Vida! "That's a Costa Rican expression that means "pure life". Sunday morning is our favorite day for walking in the barrio...Mothers and Fathers walking hand in hand with their children to church reminding us of our own childhood. "It's like the United States in the 1950's" . There is tranquility and a commitment to family. Jeff: Ah, this is one of the great benefits of living here. There is NO overt "Gringo" resentment and the Ticos are genuinely friendly! The ones in the countryside will offer you all kinds of assistance when you are in need. "Salt of the earth kind of folks." The ones from the city will look you in the eye, as the "fear" factor is so much less than the States! Smiles are easy to come by and the Ticos take great pride in their teeth, and in their clothes. In the tourist areas Ticos are generally eager to demonstrate they know some English. The Costa Ricans know that they are the "land of peace", the nation without an army, and they are fiercely proud of this fact. They are also incredibly patriotic although always distrustful of their government, and they resent any Gringo that comes down here thinking that Costa Rica is a territory of the U.S. They know they have something special going on, especially compared to their neighbors! 2) Connected: Today's Ability to Work and Live Anywhere. Yes, we have wireless Internet and low-cost phone service in Costa Rica that enables us to work from home on the deck with parrots flying overhead. It's not everywhere in the country and certainly not deep in the rain forest, but technology has enabled us to work and stay connected with our offices and families and friends. Just 2.5 hour flight from Miami and 3 .5 hour flight from Houston, we are closer to many relatives and clients than they are with others living within U.S. borders. Jeff: At my beachfront place in Hermosa, I have a phone, cable t.v., high speed internet, and a Satellite dish. The picture quality is generally better than the States, (OK, this probably changed for the U.S. with the digital switch) and there are plenty of channels in English, and one in French, Italian, German, Chinese, and jibberish! 1) The Mangos, The Monkeys, The Magic: I love to watch visitors in our learning retreats discover their own magic here while staying amidst the jewels of the Costa Rican rain forest. Forever changed from their journey to paradise, their discovery is almost child-like. I developed the brand for my speaking and retreat business from the voices of those who have discovered their own passion here. On seeing lava flow from an active volcano, a child-like WOW would be uttered competing only slightly with the volcanic rumble. Jeff: I drive along the beach to get to work, with beautiful greenery all around me. The mountains serve as a beautiful backdrop to the entire Jaco area and the Sunsets are Spectacular. Monkeys can be seen with the naked eye from my balcony, as well as 20 species of beautiful birds. We moved to Costa Rica in early 2000, after having visited a couple times a year since 1993. We knew from our first visit that we liked it here, but did not have the ability to retire at that time. I suppose my biggest complaint about the country would be that they have made the pensionado et al process so difficult and time-consuming, as well as expensive, including renewals, but I suppose that is true of all bureaucracies everywhere. The absolute worst was their requirement that my US car not only pass a smog-check, with the MECHANIC's signature notarized, then notarized again at the CR consulate in the United States, but then the very first thing that has to happen when the car enters Costa Rica is pass THEIR version of the smog check inspection! At any rate, we moved here because we liked the weather, the people, and the cost of living. The first two are still fine. I also liked their laid-back way of life, though, and have emulated it, so I don't have a lot of patience with gringos who keep thinking that somehow the people HERE are supposed to change. I have a gringo friend who is always complaining about the way Tico's drive, especially the way they will stop in the middle of the street to chat with friends on the side of the road. Hey, I get to do it, too, then, and where am I going in such a hurry, anyhow? I don't care much for their habit of passing on blind curves, true, but if you passed only where it was legal you'd stay behind the same sugar-cane truck all the way from La Fortuna to San Ramon, just about. Considering the nature of the roads and the amount of driver training they get, I think Tico drivers are rather successful, on the whole. There are always the exceptions who drive too fast, or drunk, or pass dangerously, but every driving population I've ever encountered in quite a large number of the United States contains about the same percentage, seems to me. Actually, I sometimes wonder where these complainers are driving, since my experience has been that Ticos are rather courteous in yielding right of way. Even in congested San Jose traffic I've seen people manage to squeeze in off of a side street when they'd still be sitting there waiting for midnight in some US cities. My wife once described Tico drivers as "intent"...you can have the right of way when it's your turn, but you have to be ready and waiting to take it, they're not going to sit there while you make up your mind. Strike while the iron is hot seems to be their motto. In rural areas, like where we live in La Fortuna, the other driver is as likely as not to graciously wave you ahead. In more situations than you might imagine, I've been given what seems to me to be extra consideration in situations where I didn't understand enough Spanish to figure out what to do next. I don't think I've ever been refused help doing anything, and often offered it when I didn't need it. I'm 75 and my hair is, er, very very light blond, shall we say, and I make almost daily walks to the grocery store for exercise as well as necessities, and often when I'm walking home, puffing, some younger person--total strangers--will offer to carry a bag. I thank them, since I'm purposefully engaged in weight-bearing exercise for my health's sake, but they offer. If fact, in general I have been so well treated in Costa Rica by Ticos that it has made me feel guilty about how little courtesy I unthinkingly missed offering to Spanish-speakers in my native California much of my life. Frankly, sometimes I wonder how they manage to have such a friendly attitude toward gringos, since we sort of view a lot of them with some suspicion, ourselves. If there's a perfect country then I haven't lived in it yet, and while there are a few things I could wish different about Costa Rica, perhaps, that's also true of the others, as well...just different things. I like the “Pura Vida” attitude, the “si Dios quiere” philosophy, the fact that everyone you encounter, even strangers for the first time, shakes hands, from the kid who pumps your gas to the kids who stock the super market shelves, the bank guard as well as the bank manager, taxi drivers, waiters who unfailingly greet me by name and come by to say hello even not expecting more than the tip on the bill and many of them not even involved at my table. I enjoy their compliments on my disgraceful Spanish even while I feel ashamed it's not much better than it is. Our 7-year-old is in the first grade and we're struggling learning Spanish while helping him with homework, while he tells us his teachers often call on him to help with their English, and on the whole we think the school system is pretty good, we're trying to help when we can to improve things. So I can't be too sympathetic with the gringos I hear complaining when it seems to me there is so little to complain about compared with what is going on back in much of the United States, from what I read. No we don't take "siestas" like in Mexico! Most Banks are open from 9:00 a.m. until 3:00 p.m. and do not close for lunch. Some Banks in tourist areas are open 9-6 everyday and saturdays 9-1, however this varies greatly with the bank and branch. Government offices are open from 8:00 a.m. until 4:00 p.m. usually. Most commercial businesses open from 9:00 a.m. until 6:00 p.m, (malls not found in Jaco are open 10-8), but in tourist towns 9 a.m. or 10 a.m. until 7 or 10 p.m. Most restaurants open from 10:00 am to 11:00 pm but closed between 3-5. Ticos prefer "bien cocido". Ticos often have dinner after 7:00 and rarely are there early bird specials. However both sushi bars in Jaco have "happy hours" with reduced prices and great fish! There is a 13% general sales tax applied everywhere but grocery stores, and most restaurants do add a 10% service tax. It has been brought to our attention that the entire 10% may not go to your waiter or waitress. So be aware of this when you see the propina line on your credit card slip. If you had great service, please tip generously (because great service isn't common here). Oh another tip: you have to ask for the check! The culture here feels it is rude to ask the Client if they want the check- so if you are in a hurry, ask for "la cuenta por favor." Literacy rate (2009): HIGHEST LEVEL IN CENTRAL AMERICA! 96% can at least read stop signs however 95% ignore them. Internet cafes are available in most towns and hotels, high speed available in many locations. The Ten Things I Have Learned As an Ex-Pat in Costa Rica (There are many more but these are the highlights): By Alexandra L.
1) Patience is more than a virtue here. It is necessary in order to be happy here. 2) Resourcefulness: because I love it here I have found ways to "make do", to "create", and to substitute (while working in the kitchen,) that I never would have learned had I not moved here 13 years ago. 3) Awareness: because life moves slower here I have learned to look at the faces of people, at the roadside stand of flowers, at the landscape, and find new perception. 4) Through frustration and hardship, at times, I have learned to stick things out. The borders are close together here and I have learned to confront life because it is closer to me than any other place I have lived. 5)Listening. Spanish is not my native language. Therefore I have trained my inner ear, the one that not only listens to words, but listens to the meaning behind words...the hearing "eye". Thus communication for me has changed and deepened. 6) Affection: In the States, where my life was more hurried and more anonymous, I drew back from people more. The Costa Ricans have taught me it is ok to pause, to hug, to touch with kindness in a way I would have feared doing in the States. This affection is a tonic for me in my village, San Isidro de Heredia...that I crave when I am feeling down. Go buy a cucumber and get a hug and a quick joke from the vendors. 7) Letting go: A few years ago I stopped harping about things like Potholes, long lines, a lack of things I thought I needed to have here in order to be happy: Now I try to focus on what I can change and I leave the potholes alone and stare at the small houses, people walking, the far mountains with endless varieties of green. 8) Mystery: The occult and peculiar nature of a culture that I will never fully understand: I have come to more or less (!) realize that it is this very mysterious quality that gives the country its charm. I believe I will never come to grips with some of the attitudes here and I no longer try. 9) Humor. The Costa Ricans have great humour and wit, which is accessed of course through their language, so I don't catch it all. But I try to understand with my heart and thus I laugh with them and sometimes we are laughing about the same thing. Except for when they drive, they carry the "pura vida" attitude. 10) My priorities. When I visited for two months in the States recently, and observed how life has become there, I came back to Costa Rica and saw what has become important to me here: Clean air, love in its myriad manifestations, a lifestyle less spent on pursuing money, family life (my employees on the finca, I came to realize, are my nuclear family, good health (which the U.S. cannot give me since I am one of the great Un-insurables in the U.S), quiet time apart from the bustle that one becomes acustomed to in a society like the U.S. where upper class people barely even raise their own children. Every Ex-Pat here will have his or her own list. Hopefully, there is something to be gleaned from all. People spend hours on the internet learning about real estate, healthcare, transportation, and restaurants, but they often fail to invest in learning about the culture. This is a grave error because the majority of people who decide to go back home, don't do it because they couldn't find their favorite beverage or a suitable appliance. They leave because they couldn't adjust to the culture. Those planning to live permanently in Costa Rica need to learn how to adopt a new attitude and adapt to the culture. The term "Culture Shock" has been used to describe the anxiety and feelings of disorientation experienced when people have to operate in a different cultural environment. That's when a person finds that the ways that things always have been done no longer work in a new culture. For example, the currency exchange, language, traffic and even the sense of humor change when a person enters another country. Visitors to Costa Rica are often struck with how familiar things appear on the surface, and upon this assumption many make plans to stay permanently. However, the unexpected trials and wide differences in cultural understanding often make the transition much more difficult than expected. As North Americans, we have become accustomed to things such as promptness, efficiency and courteous drivers. That's our baggage from up north. The expectation that these things exist in Costa Rica is our problem not the Tico's. I you're expecting things to be the same as in your home country in another then you're bound to get disappointed. A move to another country allows you to start over with a new life and experience a new culture in a new environment. That's why people move to Costa Rica. A good percentage of North Americans planning to stay in Costa Rica go back. They cannot deal with the inefficiency. Obtaining residency usually takes much longer than expected. You need to hire a consultant to get a drivers license. The list of frustrations goes on and on. The bottom line is they are not able to slow down and adapt to the culture. Culture shock affects people differently according to the coping strategies each individual employs in order to successfully adapt. After 15 years, I still have to remind myself; "If you don't expect much, you won't get disappointed" Then I step back, take a second look at the situation that is beginning to frustrate me and remind myself where I'm at, whom I'm dealing with and why I'm here. Then the situation at hand doesn't seem so irritating. Expats who do manage to stay for a long time in Costa Rica do so because they possess patience and flexibility. Years ago I noticed several cultural differences that used to make my life in Costa Rica frustrating. Concept of time, expectations of efficiency and understanding the local language. North Americans are continually bothered by what we view as a lack of punctuality on the part of Costa Ricans. Costa Rican's will say, "I'll come over tomorrow", but they usually don't. Often they are not hours late, but days late, with no excuse, no phone calls, no apology. This used to bother me, and sometimes it still does. But I get over it much more quickly after living here 15 years. For North Americans, a person is considered late if he/she arrives 10 to 15 minutes after the scheduled time. For Latin Americans, a person is considered late if he/she arrives 30 minutes after the scheduled time. North Americans often begin to feel tension if a person arrives 15 minutes late, while Latin Americans begin to feel tension if a person arrives 30 minutes after the deadline. These differences in concepts of time often cause misunderstandings between Costa Ricans and North Americans. The cultural differences in comprehending time can be attributed to the fact that Costa Ricans and North Americans place different value on time. In the U.S., people live to work and time is money. Here in Costa Rica, time is gold. Tico's live for the moment and occasionally during the week take the time to accomplish some work. In Costa Rica, if you run into a friend, you stop and talk and ask "how's the family". Time is for you and not for you to be bound by it. Expats who can slow down and adjust to Tico time, have a much better chance of successfully acculturating. For new expats arriving to Costa Rica, one of the most frustrating obstacles is dealing with what they view to be a lack of efficiency. In North America there is more efficiency, primarily in the services sector. This makes it particularly hard for North Americans to adapt to life in Costa Rica because they have grown accustomed to the speed and efficiency of services in their home country. If you have the financial ability to hire a consultant to complete these frustrating tasks for you, then you won't have to go through it and will probably be happier for it. Culture is embedded in the language, and misunderstandings often arise due to the ways in which people of distinct cultures express and understand language content. North Americans are more direct. In Costa Rica, the Tico's don't say things up front. It's part of their culture and is considered bad manners. Therefore if you don't understand the culture you get frustrated and some folks become angry and this offends the Tico's. Misinterpretations therefore arise because Costa Ricans view their North American counterparts as "rude" while North Americans find Costa Ricans to be "indirect" or even "dishonest." Many expats feel that they have had to learn to decode what their Costa Rican associates and friends are really trying to say. It is not that Costa Rican's lie more, it is that they are trying to save face. Costa Ricans don't want to disappoint you. If they don't know the answer, they say to themselves 'I don't know but I want to give my best guess.' You have to learn to listen carefully and read between the lines. A simple word like "Ya" can mean "it's already done", "I'm doing it right now", or "I'll get to it soon. Despite the numerous challenges and obstacles which expats face in Costa Rica, those who have stuck it out here are convinced that the benefits outweigh the hassles. The country's strong democratic tradition, innovative environmental programs, museums and cultural activities, and cheaper living costs continue to make Costa Rica a popular destination spot, particularly for tourists and retirees. And the option to live a lifestyle similar to that in a large North American city is here if you want it. Check out the selection and pricing in any of the major malls or at Super Saretto or Auto Mercado supermarkets. Most products that are imported here from another country incur duties. These duties are built into the price you pay at the cashier. If you want to live and consume the same products available in North America, they are available here. But in many cases those same products are less expensive in Florida. Perhaps if the new free trade agreement becomes a reality, this will change. I prefer the old days before there were malls and Hooters. I don't miss any of what these new franchises have to offer. I patronize typical Costa Rican businesses and my budget is much more affordable. It's nice to have options and that's my new philosophy. Plans tie a guy down. Options offer freedom. You don't irritate someone because you exercised an option. But there are many times when plans did not materialize as expected and someone gets irritated. Keep your options open and your plans to a minimum. Live like the Tico's, adopt their attitude and adapt to their culture. You'll probably live longer and happier! Pura Vida! You snap your index finger against your second (bird) finger when you think something’s funny or incredible. You miss the chaos when you leave the country. You miss the way black beans in restaurants used to be whole and had a different flavor. Diay and puta come out of your mouth like you were born to them. You watch a Spanish language movie and you understand the body language that gives another layer of nuance to the acting. You start to prevaricate so somebody else can save face. You answer bien por dicha even when the other person doesn’t ask you how you were, but you were expecting them to, so you say it automatically. The sound of a gringo accent in Spanish makes your ears bleed. You get pissed off when your friend slams the door to your car. You go to an English speaking country and when you want to ask for a glass of water the first thing out of your mouth to a waiter in a restaurant is “mae, regalame….” and you don’t get why he’s looking at you funny. You are in shock and awe when someone shows up “on time”. You are in shock and awe when YOU show up on time. You haven’t looked at your wrist in years to see what time it is. You forgot that there used to be a watch there…You haven’t had a tan line where the watch used to be in years….You don’t own a watch. You can even travel in other countries without a watch. You call everyone “mi amor” or “cielito“. You know that 3 oçlock means 4, four oclock means 5 etc…. The law was adopted unanimously by the Legislative Assembly on Tuesday and is expected to go into effect as soon as February 2010. 1. Foreign visitors on tourist visas may stay in the country for up to 90 days, provided they prove they have adequate means of subsistence. 2. Foreigners who stay in the country beyond the time period granted by immigration authorities will be fined the equivalent of $100 for each month of residence in the country. 3. Foreigners will have to pay an additional $25 in order to renew residency in the country. 4. Retirees looking to gain permanent residency in Costa Rica must show they receive a monthly pension of no less than $1,000. 5. Rentistas (self-employed businessmen or foreign investors) must prove a monthly income of no less than $2,500 to gain residency. Currently, the minimum income is $1,000. 6. Hotels and other hospitality sites must create a registry of people who stay at their establishments, which can be made available to immigration officials at any time. 7. Individuals who provide work to undocumented foreigners risk being fined from two to 12 times the employee's base salary. 8. To obtain residency through marriage, a couple must be able to prove cohabitation. This must also be demonstrated on an annual bases for a period of three years, if the foreigner wants to renew his or her residency. 9. Foreigners may apply for residency from within Costa Rica. 10. Police may not detain immigrants with questionable residency status for more than 24 hours. For all residency requirements and updates we highly recommend: such as: www.arcr.net or www.residencyincostarica.com. The easiest? way is to fall in love and marry a Costa Rican. They recently have changed the divorce laws, so now, it no longer 3 years before one can file for the divorce. The government has NOW (Nov. 15, 2009) cracked down HEAVILY on obvious "fake" marriages-where husband and wife didn't even know their spouses name! If you are serious about falling in love with a Costa Rican, we suggest meeting your "soul mate" thru the very few reputable and legit Costa Rican "introductory services" (our favorite: www.spanisheyescostarica.com). What Do I Need to Open a Bank Account here? With a handful of state-owned banks and around 19 private commercial banks, there is no lack of options if you’re looking to open an account in Costa Rica. All of these banks offer services to foreigners, whether residents, students or workers. The majority offer accounts in colones or dollars, and in some cases, euros. or a Costa Rica state bank. State-owned banks guarantee all deposits and have the most branch and ATM locations. For example, Banco Nacional or Banco Costa Rica (BCR) offers the most ATM locations all around Costa Rica. While there are a number of advantages to state banks, there is one very important downside to keep in mind: long lines. Patience is the first requirement when doing business with state-run banks in Costa Rica. If you simply do not have the time or patience to wait, consider one of the private banks, such as the Canadian-owned Scotiabank. In addition to much shorter wait times, many of the private banks are more likely to have a banker or teller that can assist you in English if your Spanish is limited. 1) Identification - All banks will require your passport if you’re not a Costa Rica resident, and may ask for an additional form of identification, such as a driver’s license (from country of origin is acceptable). 2) Utility Bill - You’ll also need to obtain a copy of a utility bill that confirms the address where you reside in Costa Rica. 3) Purpose in Costa Rica - This requirement varies bank to bank, but if you’re a retired Costa Rica resident, you’ll want to bring your residency card or some document from immigration or your lawyer that shows you’re in the process of obtaining it. Students should provide a letter from the institution where they study stating their purpose in Costa Rica, and any foreign workers should provide their orden patronal – a small document that reports income and proves payment into social security, or La Caja. 4) Initial Deposit - This amount varies widely, ranging from 3,000 - 25,000 colones, or $10 - $500 for accounts in dollars. In fact, you can help facilitate the process if they can accompany you to the bank. When doing your banking, remember to try to avoid going to the bank the day before a holiday; the middle of the month payday period; and the end of each month’s pay period. The last friday of the month payday is the worst. however you must ALWAYS have your passport or cedula available. Demonym OR Common Nickname: Costa Rican; Tico-men or all, Tica-women. not "casta rica" and not "costa" for short. Since 2010, Costa Rica has enjoyed strong and stable economic growth - 4.3% in 2016. Exports of bananas, coffee, sugar, and beef are the backbone of its commodity exports. Various industrial and processed agricultural products have broadened exports in recent years, as have high value-added goods, including medical devices. Costa Rica's impressive biodiversity also makes it a key destination for ecotourism. Costa Rica’s economy also faces challenges due to a rising fiscal deficit, rising public debt, and relatively low levels of domestic revenue. Poverty has remained around 20-25% for nearly 20 years, and the government’s strong social safety net has eroded due to increased constraints on its expenditures. Costa Rica’s credit rating was downgraded from stable to negative in 2015, upping pressure on lending rates - which could hurt small business, on the budget deficit - which could hurt infrastructure development, and on the rate of return on investment - which could soften foreign direct investment (FDI). Unlike the rest of Central America, Costa Rica is not highly dependent on remittances - which represented just 0.7% of GDP in 2015, but instead relies on FDI - which accounted for 4% of GDP. Please feel free to contact us at jeff@crbeach.com for a big copy of the maps or try to save the maps in your "my pictures" and open them up with magnifier options! 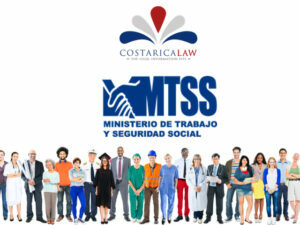 In Costa Rica the Ministry of Labor (Ministerio de Trabajo) sets the minimum wage scale. The wage scale is applicable to all workers in Costa Rica. The minimum wage scale is reviewed by the wage council of the Ministry of Labor twice a year. All employers in Costa Rica are obligated to comply with the minimum wage scale. An employer may not pay their worker’s less then the amount established in the minimum wage scale. The wage rates indicated below are some selected minimum wages for certain professions and occupations in Costa Rica. Pet Friendly Properties for the Central Pacific-Jaco CR areas. Costa Rica can be considered a "pet friendly country" but there are still rules and regulations to follow regarding bringing your pet here and establishing residency. Did you know that your pet must have only one international travel document from a veterinarian saying that they do not have rabies, and all of their vaccinations are up to date? We have discovered that there are far too many animals here in Jaco-to spare! Thankfully dedicated and conscientious people collect, spay and neuter, and adopt out animals. We’ve turned to them several times in the intervening years, and have always been impressed. We expect them to guard the property while away at work, to greet us affectionately upon our return and to persuade us to go down to the beach for the watercolour sunsets, the refreshing breeze and the enjoyment of splashing through the warm ocean waves ‘en famille’. 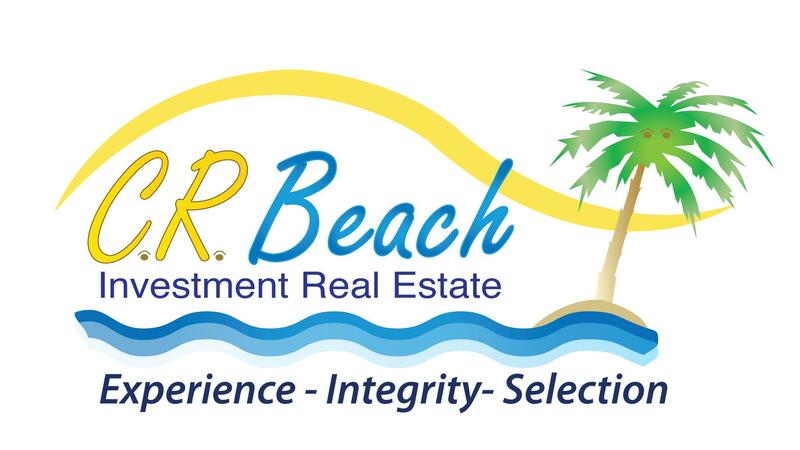 As part of our CR Beach Investment Real Estate goal of finding your 'home match' in paradise, we will treasure knowing your pets’ special requirements as well. We assure you that your pet family members can make the journey and will adjust very nicely to beach living. Condos rarely accept animals as dwellers, but there are some that do. We know which ones they are and can help you decide whether that is what you are looking for. We can offer suggestions on gated community homes, lots or development tracts and once we know your time frame, we can help you make those crucial travel arrangements. Jeff Fisher, Owner-Broker of CR Beach Investment Real Estate had this to say “ We believe we are not barking up the wrong tree by appealing to true animal lovers who wish to bring their beloved pets to Costa Rica. Many household pets have discovered living in Costa Rica is like being in “the Garden of Eden” especially because of the truly excellent year-round weather. This new real estate division will ensure efficient home hunting for the pet owner (which should make Fluffy quite happy!) Our goal is to see you and your pets settle nicely into our community of friends. So now with appropriate applause from our furry friends, CR Beach Investment Real Estate of Jaco, Costa Rica is introducing a new dimension in real estate services: Pet Friendly Properties Jaco! Please scroll down for more pet travel requirements. Our main goal here is helping you find your perfect place to purchase or rent, that will earn your pets' “wag of approval." Please use a State or Federal U.S. Interstate, and International Certificate for Small Animals. For other countries, please contact the nearest Costa Rican consulate. (NOT as luggage -- there is a big difference) then do NOT plan to arrive on a weekend. until you can process the papers with the cargo customs people on Monday morning. It happened to me, and if I hadn't hired Dr. Adrian Molino to help, my dogs would have been dead by Monday. your dog will get nothing unless you intervene. Pay the extra cost and fly in during the week. Sending a dog or cat back to the U.S.
As far as, shipping the dog back to the US, we were told that the dog had to have a stool sample which was within the 5 day period of leaving. But, when we had that done at the Vet, we were also told that CR requires a 1 year rabies (up-to-date). Our dog's rabies was good until 2010. She had to have another. Then, you have to go to the MAG (located at the SJO Airport, near the Cargo area to get the Vet's Certificate stamped. That is required by CR, not American Airlines. You have questions and we have the answers regarding living in Costa Rica Jaco Beach Playa Hermosa beach areas: Costa Rica weather? Costa Rica residency requirements? Costa Rica Jaco Los Suenos homes for sale in gated communities; Costa Rica Jaco business license requirements; Los Suenos Costa Rica lots for sale oceanview; Jaco Costa Rica condos for sale oceanview; Los Suenos Marriott Jaco Costa Rica luxury condos homes for sale; Jaco Los Suenos Hermosa Beach Costa Rica beachfront homes; Relocating & retiring to Costa Rica. Jaco Luxury home ownership & living costs in Costa Rica. Jaco Costa Rica businesses for sale? Costa Rica Medical and Dental information Costa Rica luxury real estate. Costa Rica driver's license? How's the fishing in Jaco Los Suenos Costa Rica? Do the real estate laws in Costa Rica protect foreigners? Restaurants for sale in Jaco, Costa Rica? Costa Rica biofuel algae development properties. Shrimp farms Costa Rica for sale. Developing land and obtaining building permits in Jaco Hermosa Beach Costa Rica Top brokers costa rica real estate, jaco area! Costa Rica Jaco hotels and restaurants for sale. Shrimp farms for sale in Costa Rica. Costa Rica jaco central pacific rentals. Retiring and Relocating Costa Rica. Costa Rica vacation rentals? Hotel casinos for sale in Costa Rica, ask us! Costa Rica news and Jaco Beach-Playa Hermosa in the news! Properties Jaco area for sale. Jaco beachfront condos. Jaco cheap homes, jaco cheap condos, jaco cheap lots? Costa Rica fire sales foreclosures homes, lots, and condos? Costa Rica investment properties, Costa Rica development properties for sale? Costa Rica beachfront condos, costa rica condos oceanview, costa rica beachfront homes, costa rica homes oceanview financing? We live here-we know-we love Costa Rica,especially the Jaco Beach, Playa Hermosa Beach, Esterillos Beaches, Los Suenos Marriott Jaco Herradura, Punta Leona, and Bejuco beach areas, and now Manuel Antonio! COSTA RICA HAS MANY MINIMUM WAGES, AND SOME ARE REALLY LOW, SOME PRETTY HIGH! In Costa Rica the Ministry of Labor (Ministerio de Trabajo) sets the minimum wage scale. The wage scale is applicable to all workers in Costa Rica. The minimum wage scale is reviewed by the Ministry of Labor twice a year. All employers in Costa Rica MUST comply with the minimum wage scale. An employer may not pay their worker’s less then the amount established in the minimum wage scale.